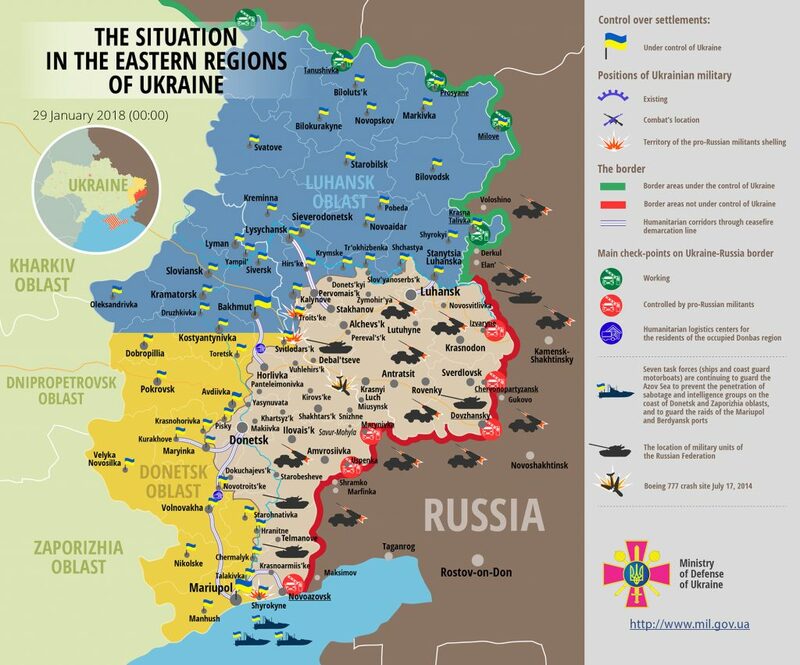 Russia-backed militants violated the ceasefire four times in eastern Ukraine yesterday. All of these were direct fire attacks, some of them involved Minsk-proscribed 120-mm mortars. “They fired a total of 32 mortar rounds. All incidents involving mortars took place in Luhansk sector,” reported Ukrainian Ministry of Defense spokesman on ATO Colonel Dmytro Hutsylyak at a press briefing at Ukraine Crisis Media Center. In Luhansk sector, militants committed three ceasefire violations. A 90-minutes mortar attack, with a short break, took place near Luhanske. Russian proxies fired sixteen 120-mm mortar rounds on Ukrainian positions there. They also used 120-mm mortar in the vicinity of Troitske, firing sixteen rounds. Ukrainian servicemen returned fire two times (near Luhanske and near Troitske). In Donetsk sector, militants opened grenade launchers fire on Ukrainian positions close to Shyrokyne. This attack took place at about 23:00. Fortunately, Ukrainian troops incurred no casualties in action yesterday. Report on the military developments as of January 28 is available here. Interactive data on the shelling: chronology shelling chart and the interactive map.